It’s hard to believe how fast life passes. From time to time it is good for one to reflect on the past and remember things that may have been forgotten. My passion for writing began when I at Washington Elementary School in Anderson, Indiana in the fifth grade. I made a wire sculpture of a little boy on one knee with his head in his hands. I then wrote a story related to the sculpture titled: I was there at Hiroshima. My teacher submitted the sculpture and story to a citywide competition of all fifth graders and I was for fortunate enough to win first place. She presented the award to me and made me feel special. I cannot remember her exact words but she told me that I had a gift. You feel things deeply and you have the unique ability at a young age of putting them on papershe said. I never forgot that day and what she said. I continued writing during my two-years in the U.S. Army during the Viet Nam War and the years that followed. I grew up, finished high school, earned Bachelor of Arts and Master of Ministry degrees from Welch College and a Doctor of Philosophy degree from Trinity Theological Seminary. 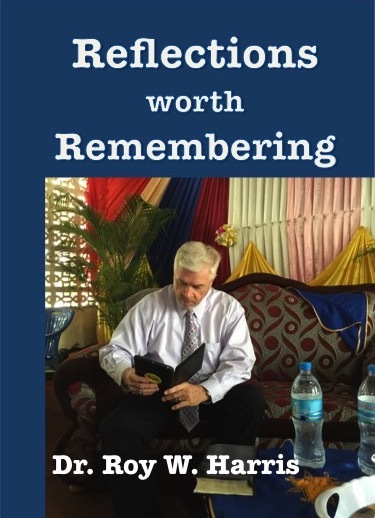 This book, Reflections Worth Remembering, is a collection of my articles that have been published in several local, statewide and national publications over the last 25 years. I selected a variety of articles addressing issues facing our nation, help for marriages and family, recognition of those who are important to us, our personal heath and application of Biblical principles. The book can be great resource for insight into issues facing our nation, sermon or teaching illustrations, or just relaxing reading about everyday life. The articles represent many hours of thought, prayer and hard work.